The Alvin Everything Bag 3-Piece Set is a handy and versatile storage tool that accommodates a wide variety of items. It includes three bags of different sizes in one package. The large 13"L x 10"W bag is ideal for documents and sketch books while the elongated 12 ½"L x 4 ¾"W bag is great for rulers, templates, and other tools. 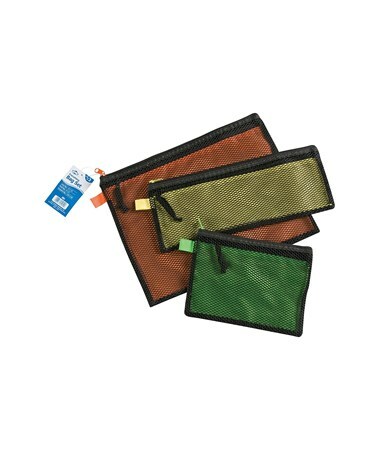 For pens, compasses, and other small supplies, the 8"L x 6"W bag is perfect. 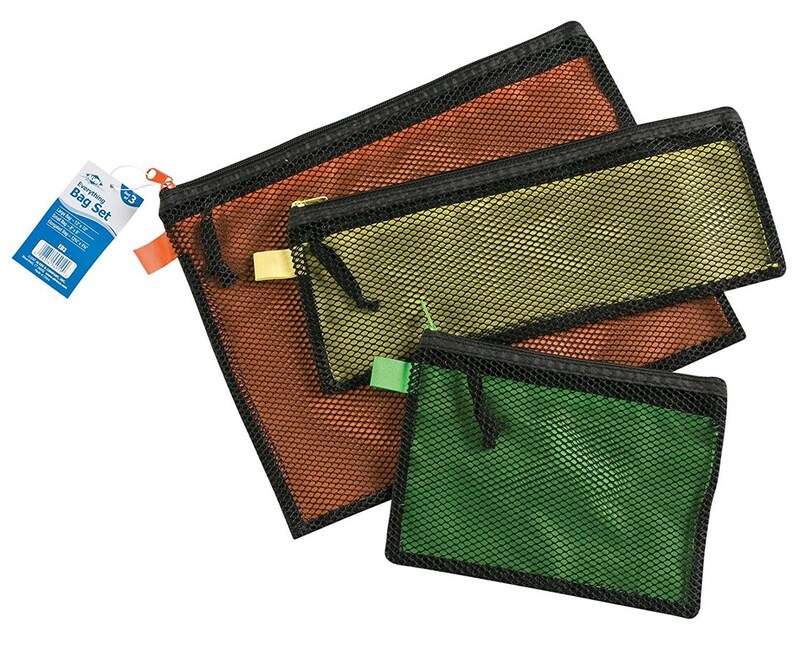 The Alvin Everything Bag 3-Piece Set features a private inside pouch with a see-through mesh front. It is equipped with a zippered closure to ensure the safety of its contents. Each bag comes in varying colors for easy identification.